The good news is that I’ve had a brilliantly busy term, the bad news is that I haven’t had time to blog about it! I can’t believe my last post was dated October! So, a quick summary for now and I’ll try and catch up in the New Year. I’ve shown just one image for each event but there are more on my Facebook page. I’ve shared my love of upcycling with 4 fabulous students on my Re-fashion Workshop at The Wantage Mix. 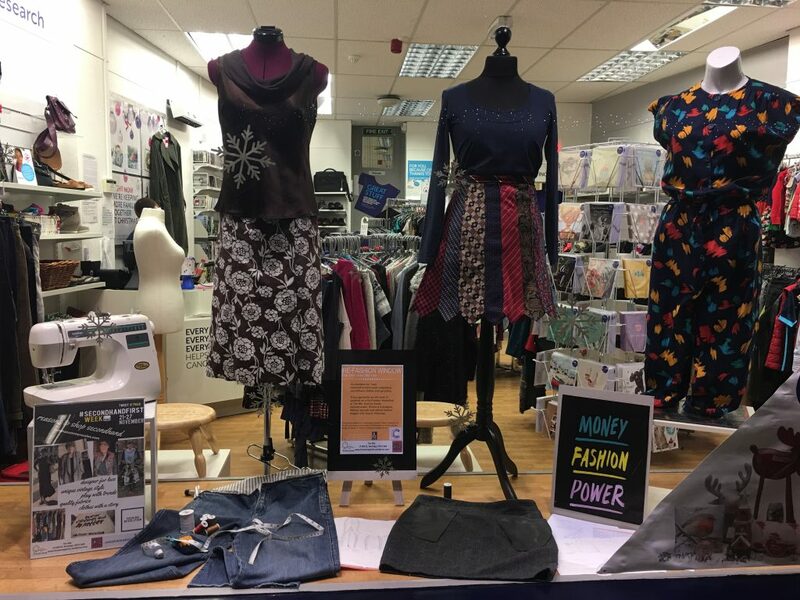 We started with a rummage of our local Cancer Research shop where we selected garments to upcycle and they kindly allowed us to dress their window with the finished projects at the end of the course. The last session coincided with the Traid #secondhandfirst week, so we registered our Window Exhibition as an event on their website. The same week, I posted a short video on my Reasons to Shop Secondhand and will come back to that with more videos in 2017. 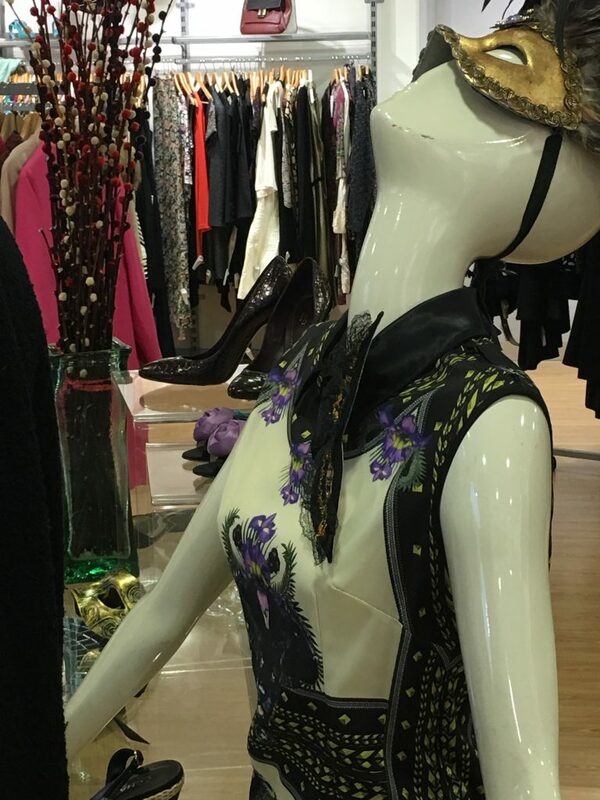 There are so many reasons, aside from the very important ethical ones, why secondhand is a really good way to play around with fashion. 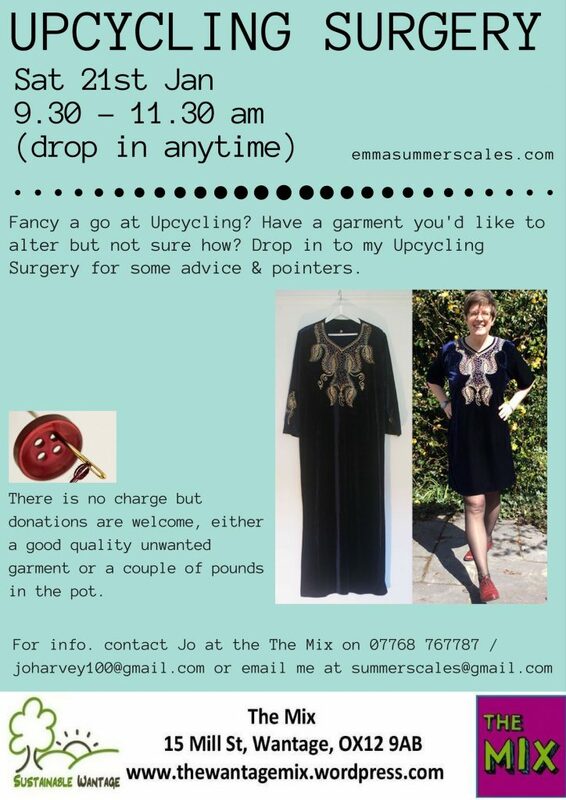 I’ve also held my first Upcycling Surgery at The Mix, where a few people popped in for some advice on how to alter and update their clothes. Another one is planned for 21st Jan.
As part of the Wantage Betjeman Festival I went along to a Poetry Evening at the vale & Downland museum. 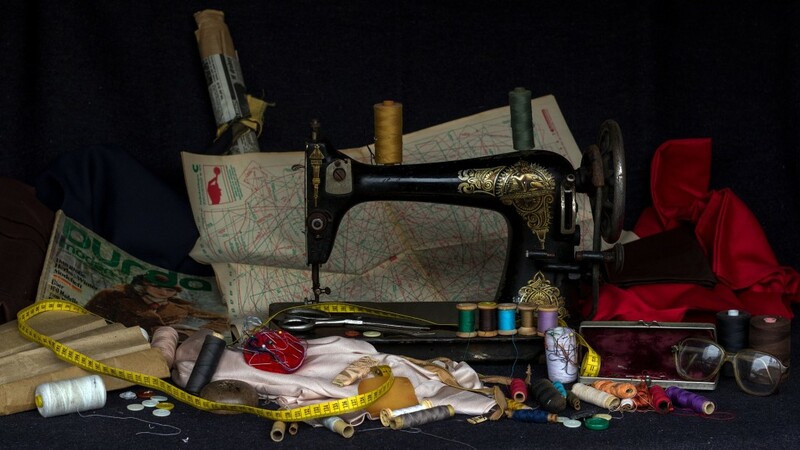 Inspired by two brilliant poems, I’m planning a post about the craft of sewing and garment making, love it or hate it? I’ve been asked to collaborate on a project on the Kings Road in Chelsea so whilst I was there for a research trip, I had to check out the charity shops. There’s the designer Red Cross shop where you can buy Stella McCartney or Gucci for £150. Or the fabulous vintage on offer at the Royal Trinity Hospice shop; where I bought a couple of vintage jackets, a dress and skirt for upcycling, both pure silk for £20. There’s two Oxfam Shops and the Octavia Foundation shop where I bought a few staples and the waistcoat I’m wearing in the photo below, upcycled with denim. More on this in the New Year. I been upcycling, as always! I’m in the process of transforming a denim skirt into a pair of culottes. 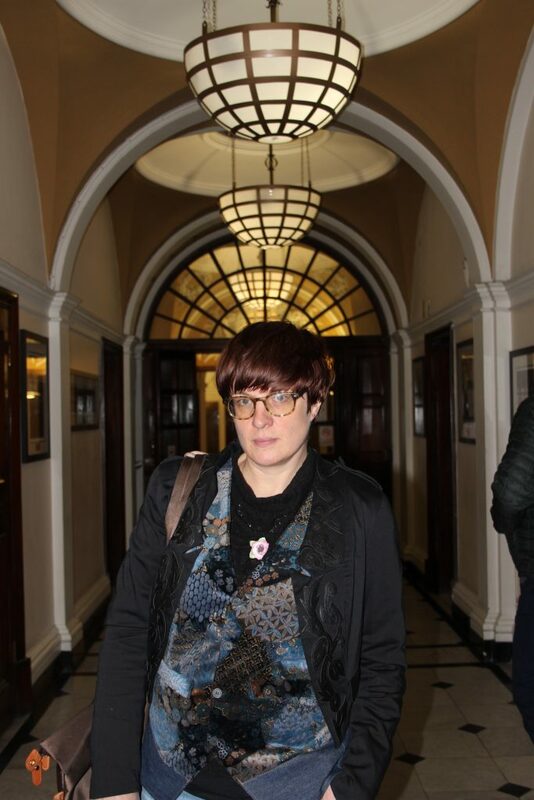 I upcycled a velvet waistcoat for my visit to the Kings Road. And I’m hoping to update a 70s dress into a long asymmetric dress for a New Years Eve party in Edinburgh. 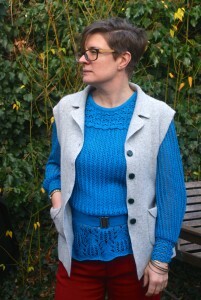 Katy & I did a Wardrobe Re-style for the lovely Sharon Whyte. 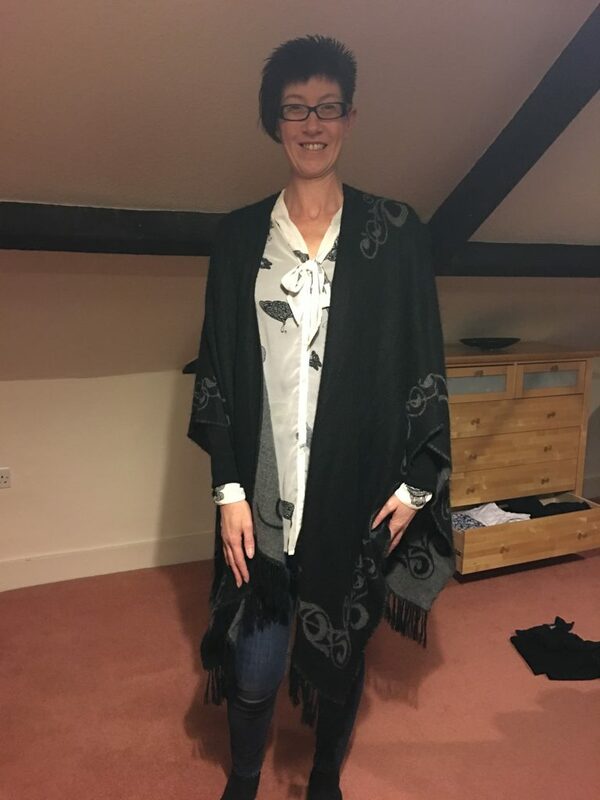 Sharon totally embraced the idea of restyling what you already have in your wardrobe, finding new outfit combinations and clearing some items that just weren’t working and were cluttering her wardrobe and her mind when she came to deciding what to wear every day. I wrote my first published article for the December newsletter issued by Sustainable Wantage; www.sustainablewantage.org.uk. The contradiction of a commercial Christmas has bothered me for years so I’ve shared some ideas for upcycled, secondhand or locally sourced gifts. I’m posting some pictures on the blog, Instagram and Facebook of my finds using #sustainablechristmas. So what’s ahead in 2017 …. I’m taking a Level 3 AET course in adult education, thanks to the support of The Mix and Abingdon & Witney College. The Mix have booked another 4 session Re-fashion Workshop course, as well some single day events for 2017, check out their website for dates; www.thewantagemix.wordpress.com/calendar. I’m also in the process of updating my blog layout and hoping to get some experience of fashion photography. I will be upcycling, of course and sharing some secondhand treasures. I’ll be posting some brand research on Dr Martens and a belt made from reclaimed fire hoses by Elvis & Kresse.